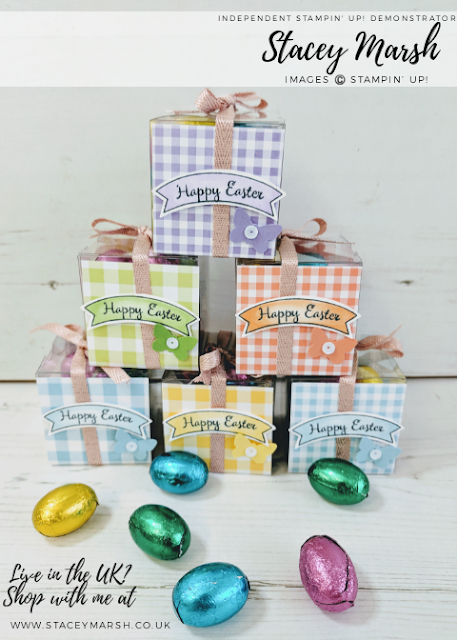 It is Easter Sunday here today and this means two things for us at the Manor, the celebration of the resurrection of Christ, and the arrival of the Easter Bunny, or in my eldest's eyes, the Easter Bunny's birthday! Since the arrival of my girls, Easter Sunday is another reason to enjoy spending time as a family, eating chocolate and hopefully enjoying the lovely warm spring sunshine! 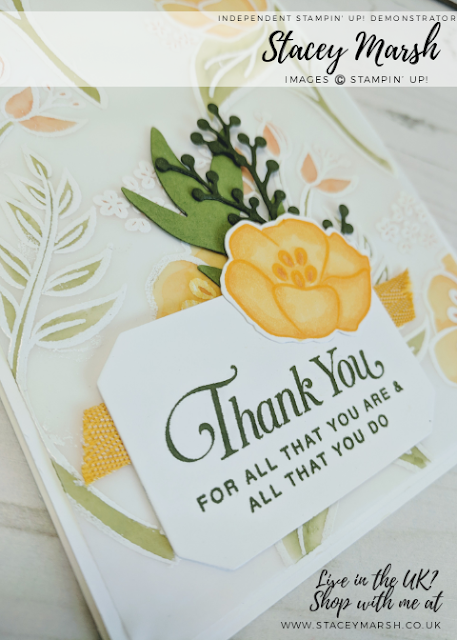 This card needs no introduction and says it all!! 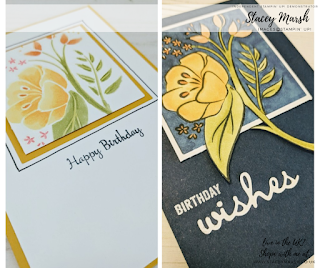 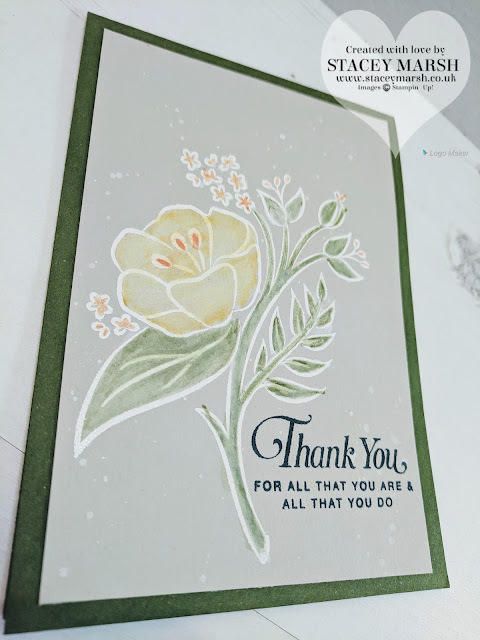 This style of card is becoming increasingly popular across Pinterest and social media and really are simple and easy to create. 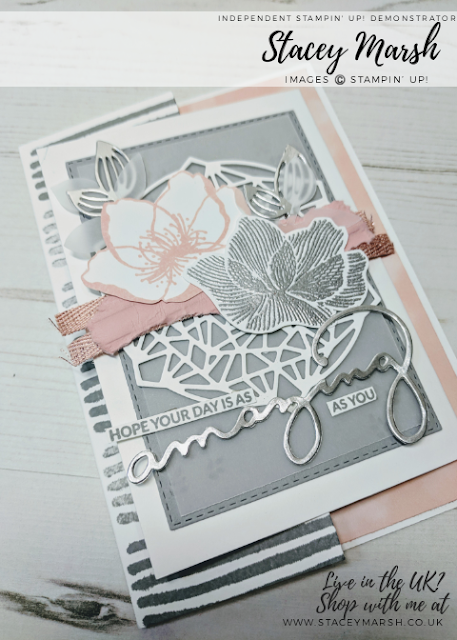 Known as the eclipse card, to make, you stamp a background, or use some patterned DSP, choose your word and die cut using using Large Letters Framelits. 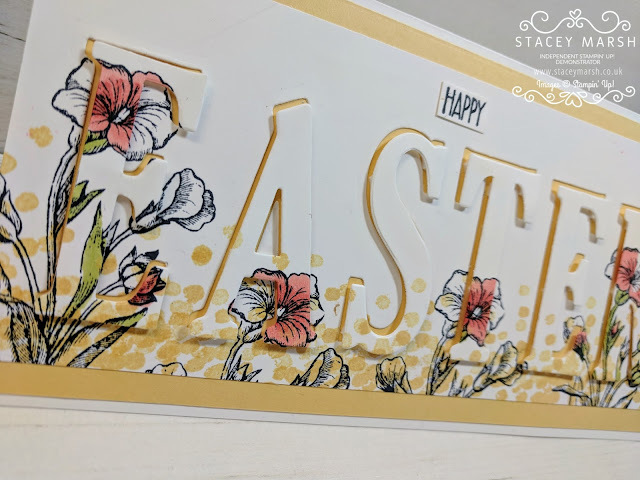 Once cut out, reattach the letters back in using Stampin' Dimensional down pads, or if you are really clever layer up with several more due cut letters for more detail! On this card I have used the dots from the Dragonfly Dreams Stamp Set in So Saffron, and the flowers from the Butterfly Basics Stamp Set. 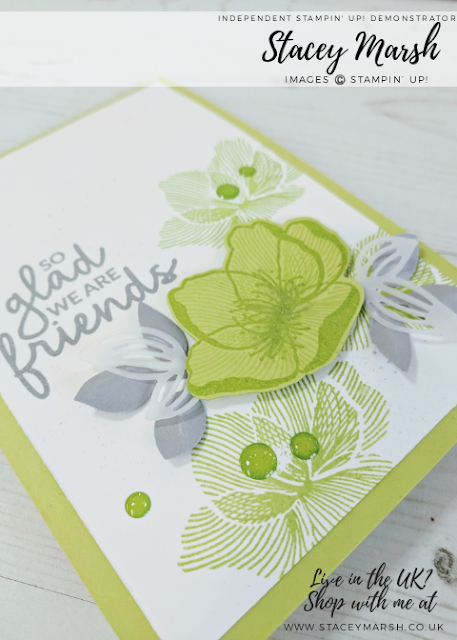 Once cut out, I have coloured in the flowers only on the letters using Stampin' Blends in Old Olive and Calypso Coral. 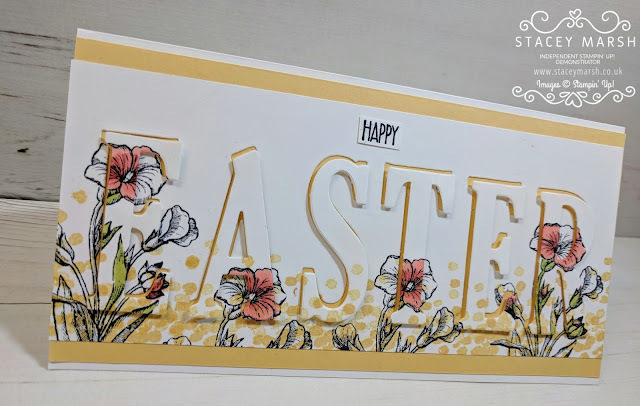 I hope you enjoy your Easter Sunday whatever it means to you!